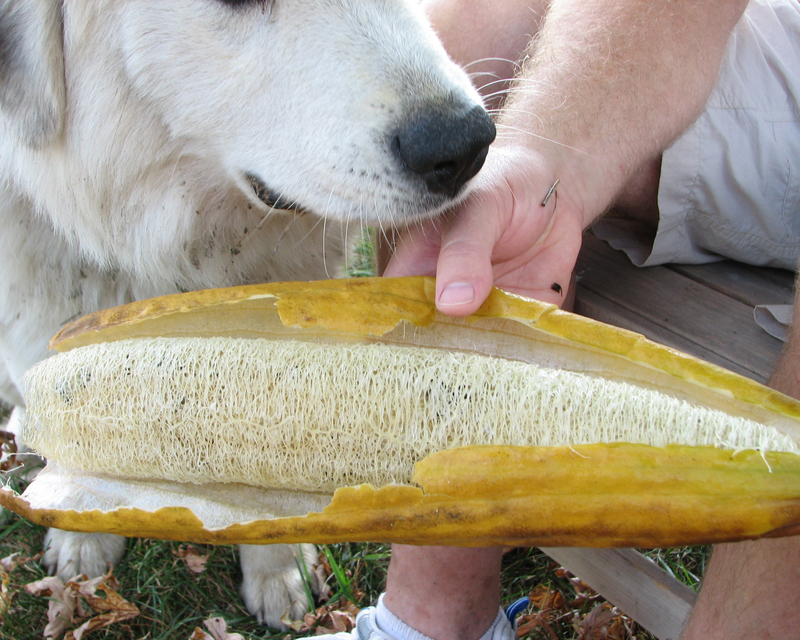 Last spring I decided I was going to give Luffa farming a try. Typically, when I decide to try something new, I just jump in with both feet, go way overboard and worry about the consequences later. It’s just the way I am when it comes to my creative endeavors. But this time, thank goodness, I tried to be more conservative and started out small. I started with only 12 plants and after making several mistakes and having a terrible summer in Missouri for Luffa farming, I ended the year with 2 luffas. Yes, that is it! There is no one else in the world that was as proud of my 2 luffas as I was, but let’s face it, it was not a great first year. 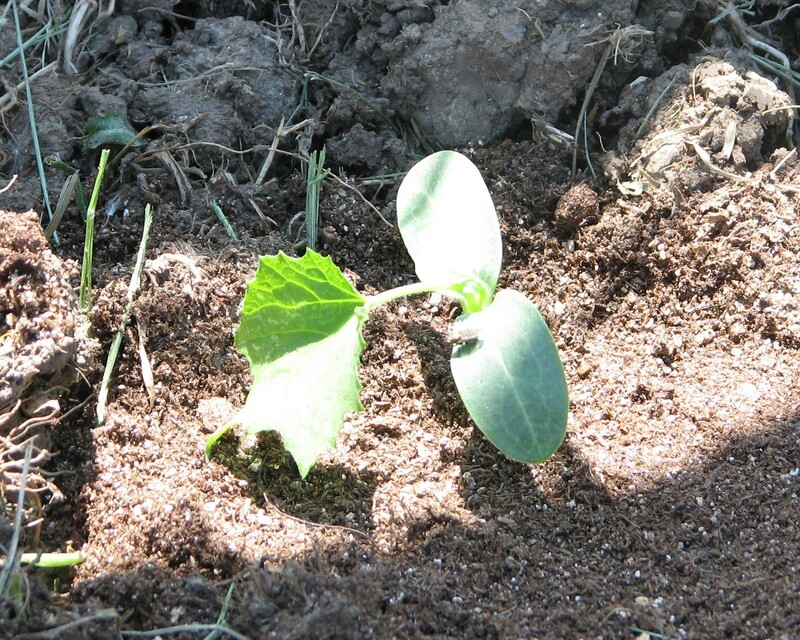 But as the winter went on (and on and on and on, it seemed), I began to get excited about Luffa Farming – Year 2. I learned a lot last year and if Mother Nature cooperates a little bit, I’m hoping to have a much better season. One of the first decisions I made was to purchase a different seed. I don’t know that a different seed would have made much of a difference last year with the short summer that we had, but I am excited to try something new. At the Mother Earth News Fair last October I met the folks at Botanical Interests and was able to talk to them about the luffa gourd seeds that they have. I purchased my seeds this year from them and am excited to see how they work for me. Luffas need a very long growing season, 110 days at least. 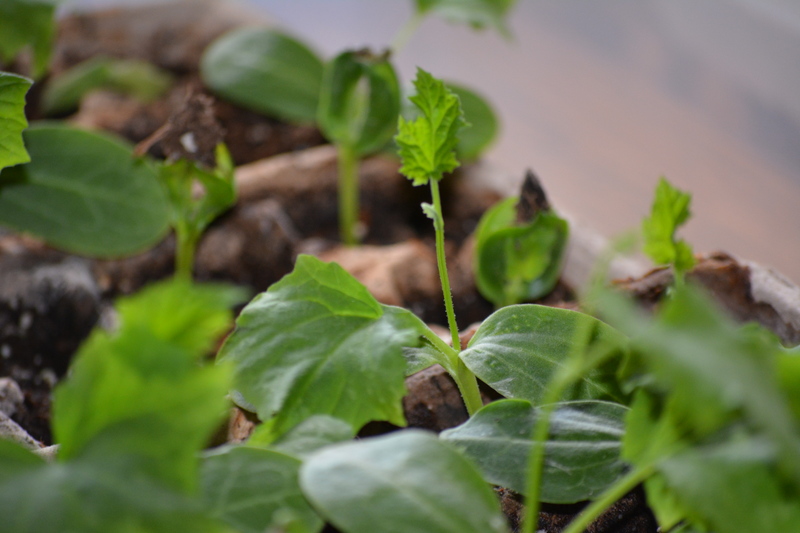 This year I planted my seeds indoors earlier than I did last year so that I had a more mature plant to start with. I also used a plant light to give my seeds the warmest and lightest start possible. I really think it made a difference. I started around 60 plants indoors. 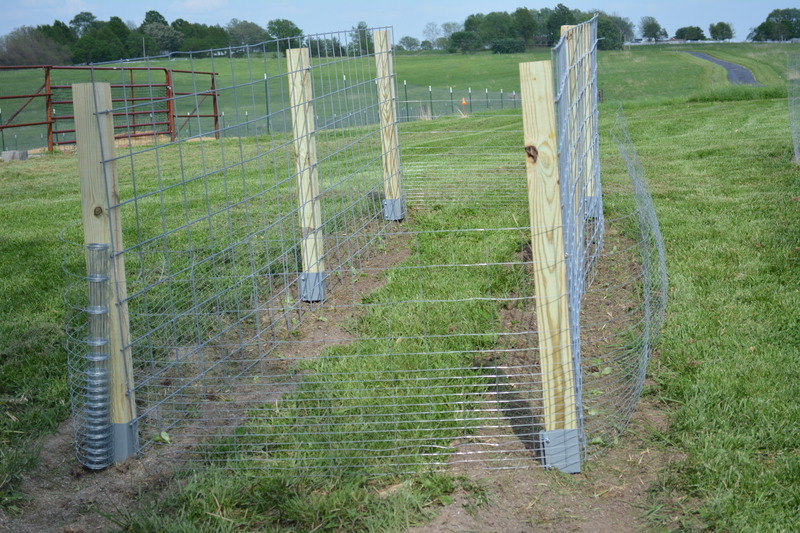 To prepare a good place for my luffas this year, I purchased 2 cattle panels just for my luffa farming project. 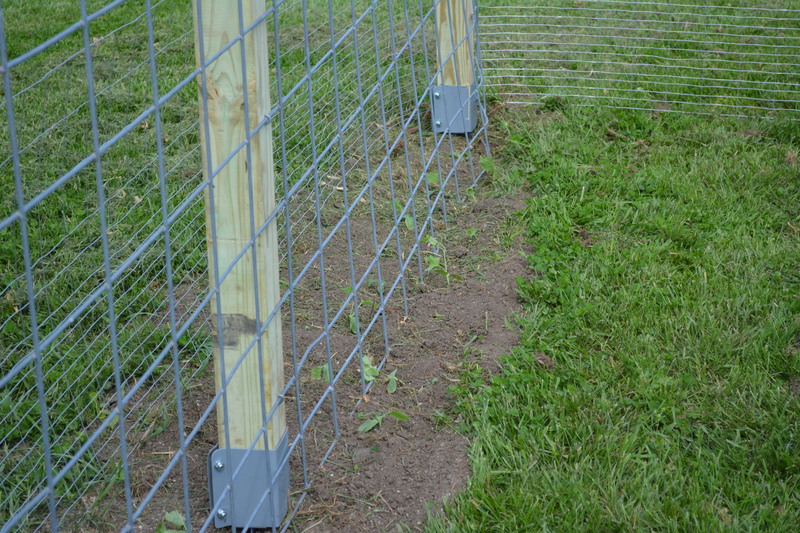 We attached the panels to posts which gave us about 32 feet of space for the luffas to grow and vine to their hearts content. I got the 60 plants in the ground today. We are off to a much warmer start this season and if we don’t have an early freeze in the fall, my luffas will have plenty of time to mature. 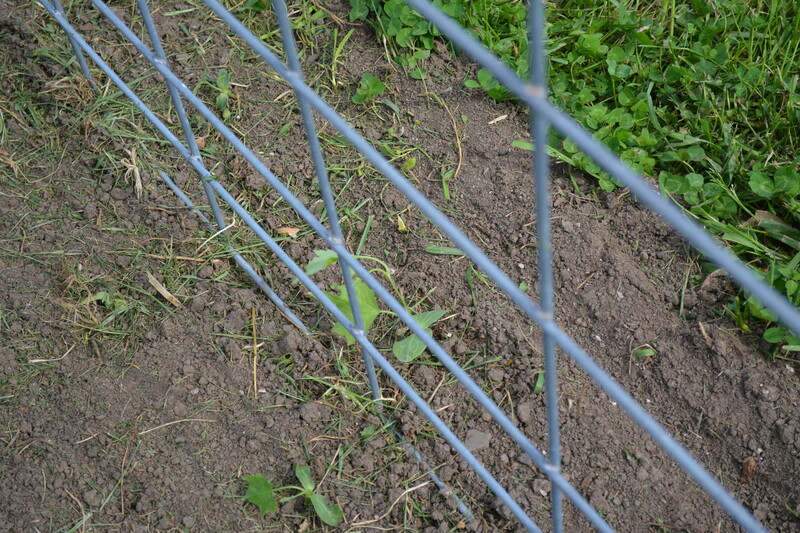 We have placed temporary fencing around the luffa garden just until the plants mature some. I don’t want my chickens to uproot the plants while they are still so young and tender. 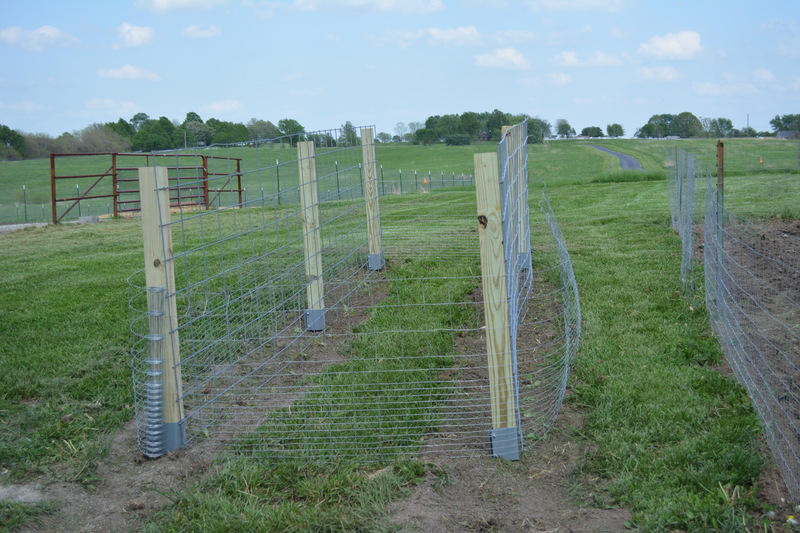 Watch for more posts to see how Luffa Farming – Year 2 is coming along. I decided it was ready because 1) the color 2) it was very light weight and 3) the skin felt papery and I could tell that it had separated from the fiber inside. I cut off the end and shook out all the seeds into a bucket. They are drying now and will be used next year. Once I had most of the seeds out, I started to take the skin off. It must have been more than ready because it came off in one piece. Easy! But Balto was there to help just in case we needed him. After that I washed it and let it dry out. I still have a couple of seeds that I need to get out, but I will do that when I wash it good a second time. 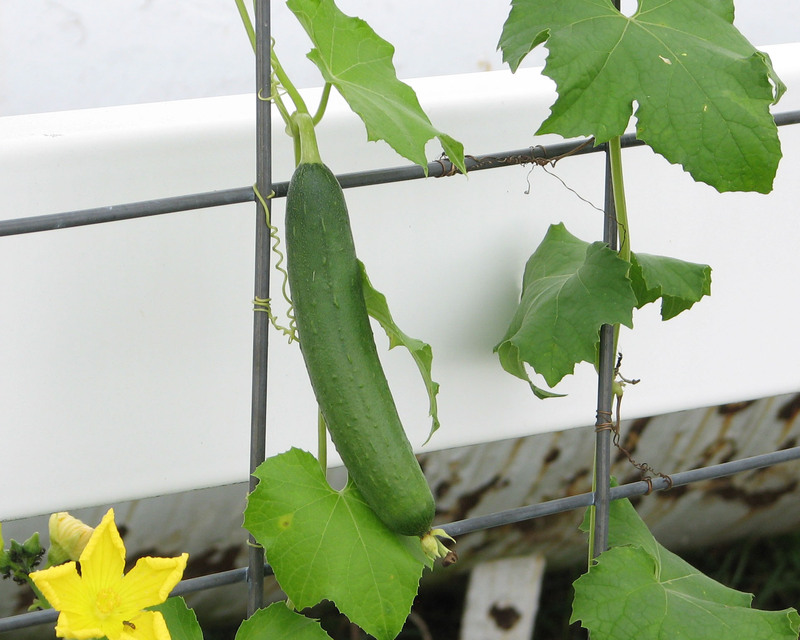 But here it is……my first homegrown luffa. I have about 8 more in my small crop that still need several more weeks before I can pick them. I have had a lot of fun watching these grow! 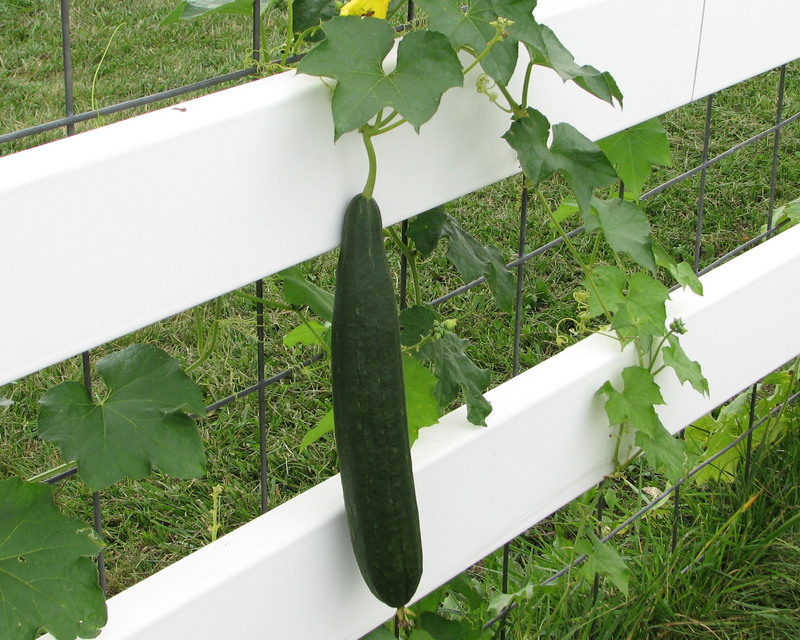 I will post again when I have harvested all the luffa for the year. The summer is just flying by! It seems like everything is going so fast! Everything except my Luffa Project that is. I had read that these are slow growing plants and now I know that to be true. 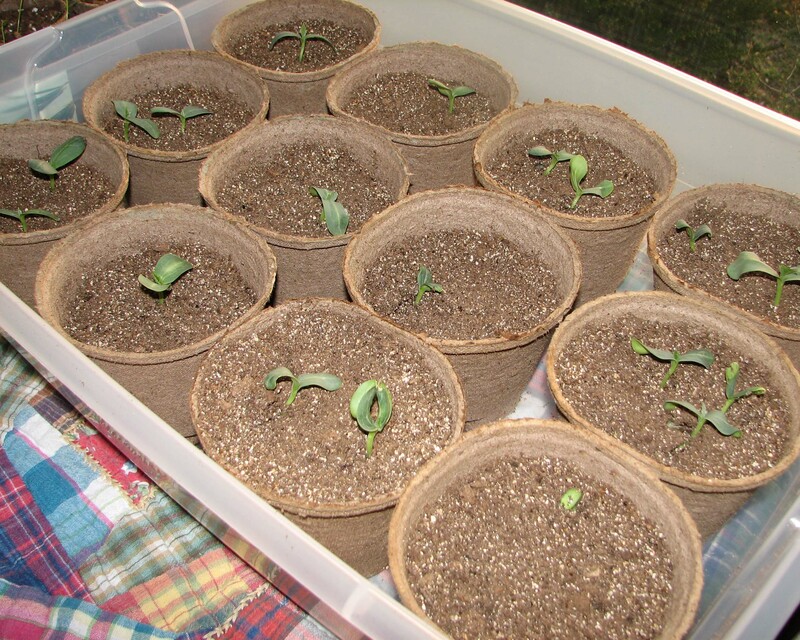 I started my seeds indoors late winter/early spring and then once I planted them outside, it seemed like we had nothing but rain and cooler than normal temps all spring. So maybe they got off to an even slower start than usual. But I’m happy to say I am now seeing results. 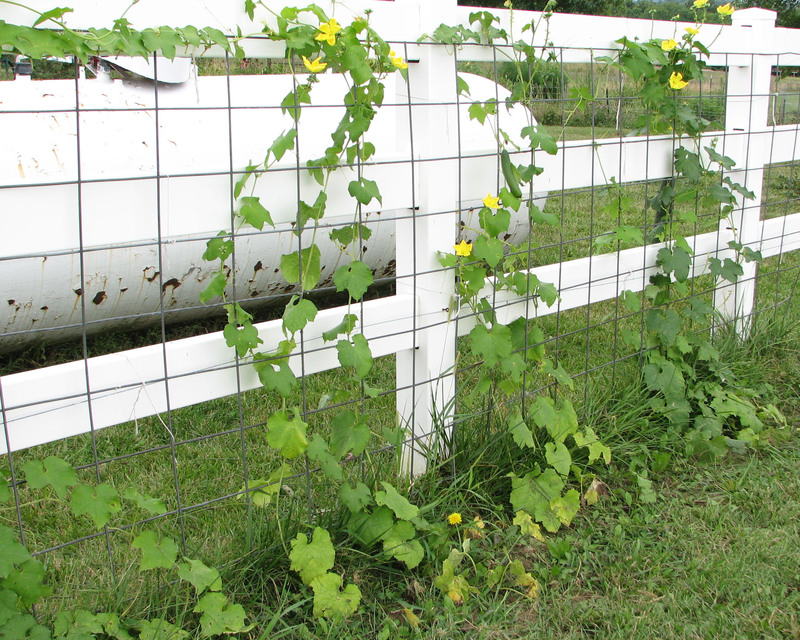 I have vines growing up my fence and even a few Luffas growing. I started this project with just a few plants hoping to learn as I go this year. I have a couple of nice looking luffas growing now and hope to see a few more by the end of the season. Looking forward to a fun Luffa harvest in a few months! Well, our local weather forecasters have indicated that our last cold snap has come and gone. Let’s hope so…..it is the middle of May after all. 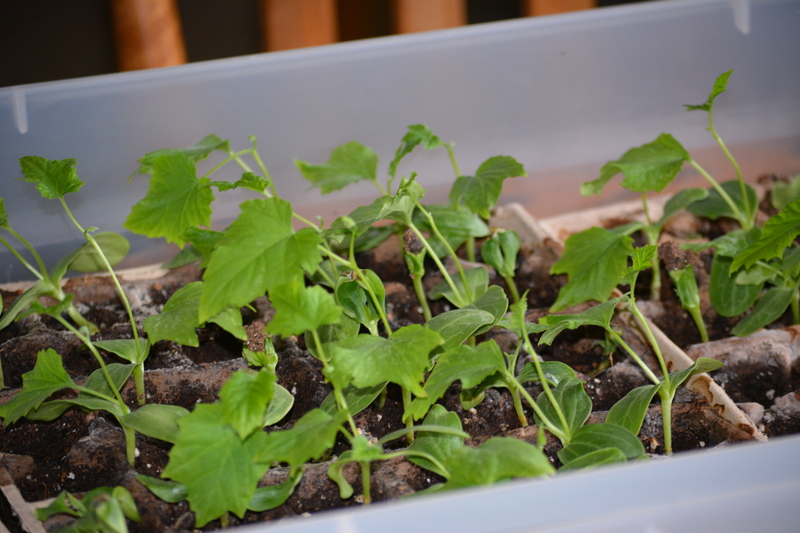 I couldn’t wait to get my luffa seeds outside and into the ground. 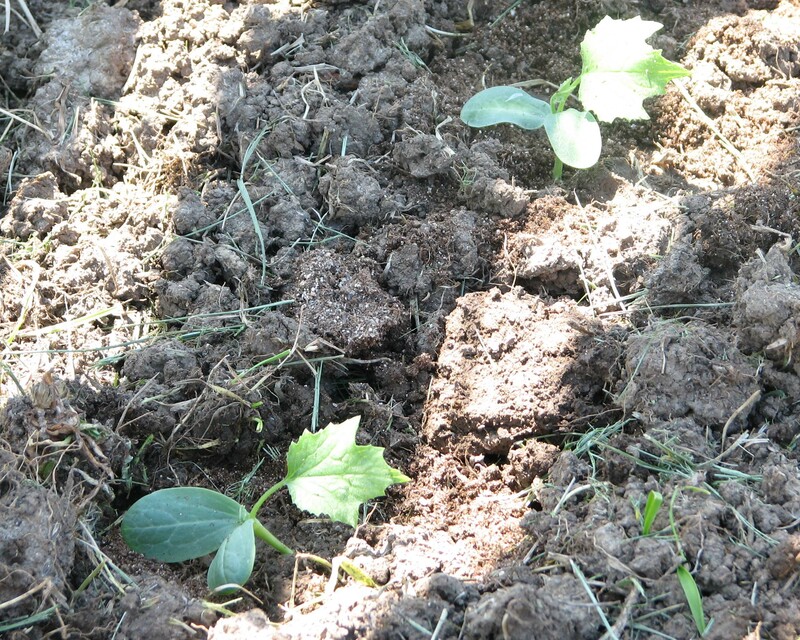 This afternoon I planted 18 small luffa gourd plants along my fence line. The plants don’t look like much now, but I was surprised at the amount of roots they had. I think they will do well now that they are outside, have plenty of sunshine and plenty of room to grow. 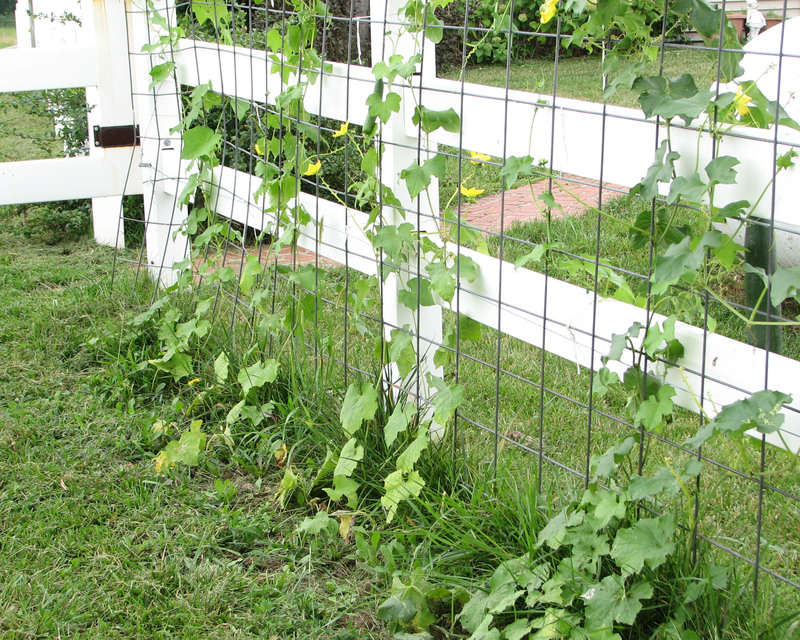 I will give you another update once they have started to vine up the trellis. Well, I find myself off on another tangent. I do this often, you know see something in a magazine or shop that sparks an idea. But sometimes an idea just pops into my head from nowhere and I’m determined to explore it further. I’m not sure where this comes from. I like to think that it comes from having a creative mind, but some might say it is a curse being so unfocused. But I have been like this for as long as I can remember….my head full of ideas but often not enough time to implement them. I read an article about a year ago on Luffa Farming and I thought it sounded like the greatest thing ever. When I mentioned it to my family I got the typical response….eye rolling, snickers behind my back, telling me I was crazy right to my face…..you can imagine. 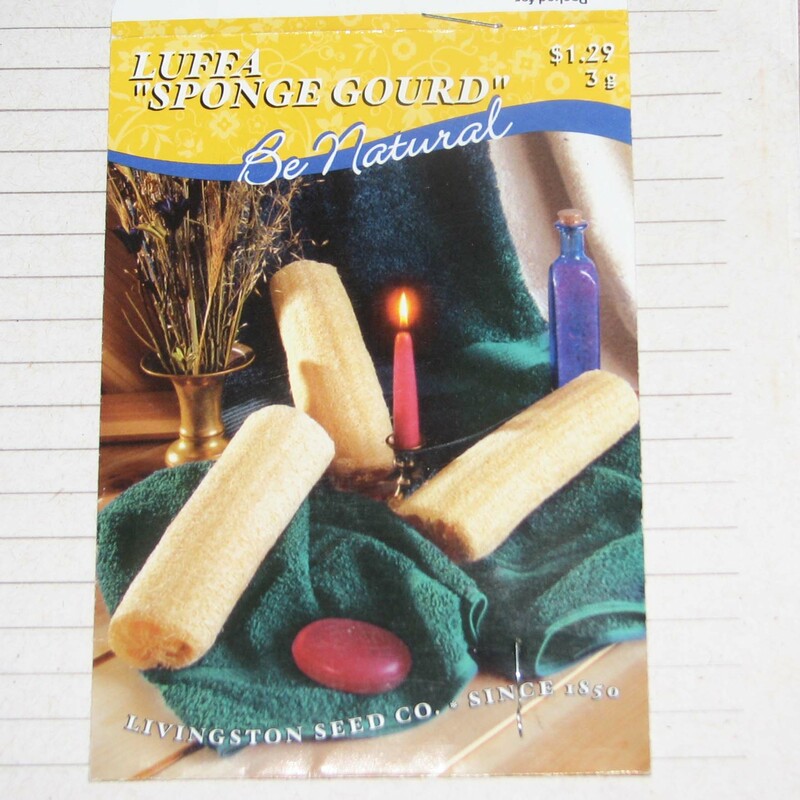 But as I was sitting in my house a few weeks ago trying to get through the Winter That Never Ends/Spring That Still Hasn’t Come, I began to consider Luffa Farming again. So, instead of jumping in head first like I often times do, I am trying to take this one slow. I have purchased just one packet of seeds and am determined to make that package the sum total of my 2013 crop. 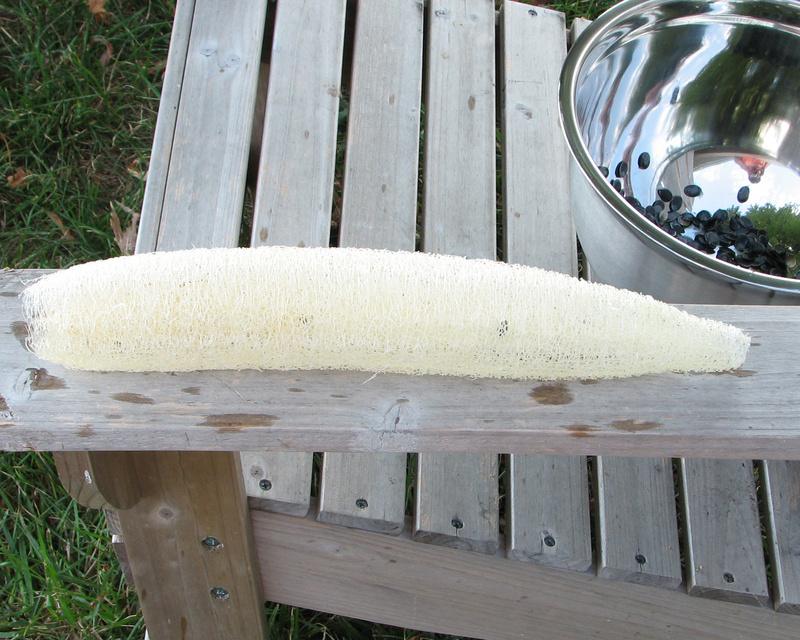 Please join me on my Luffa Farming Tangent. We’ll see how it goes! 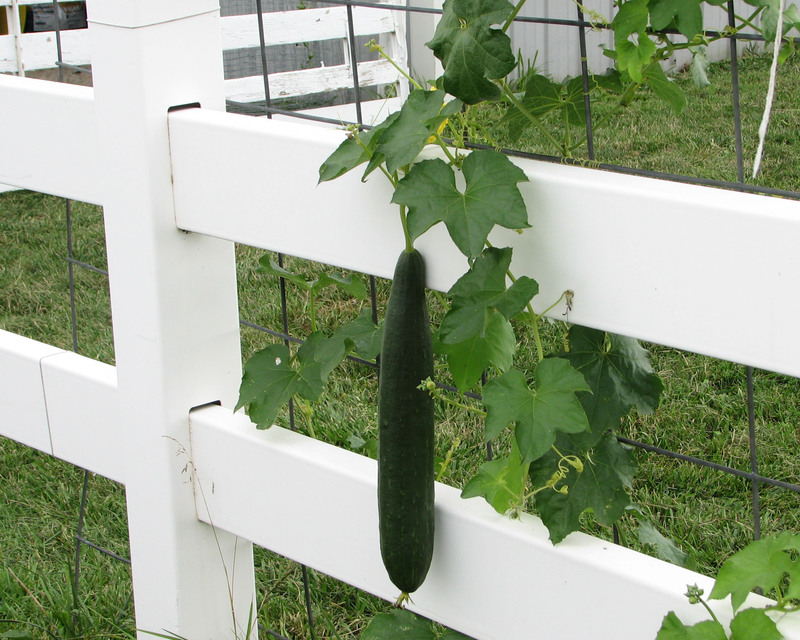 The Luffa (sometimes spelled Loofah or Loofa) comes from a gourd, a member of the Cucurbitaceae family that also includes cucumbers and pumpkins. You can purchase the seeds on the internet, but I was trying to start off as easy, slow and inexpensive as possible so hoped to purchase some locally. I was excited to find a packet of Luffa Seeds at Planters Spice & Feed in the Farmers Market area of Kansas City. 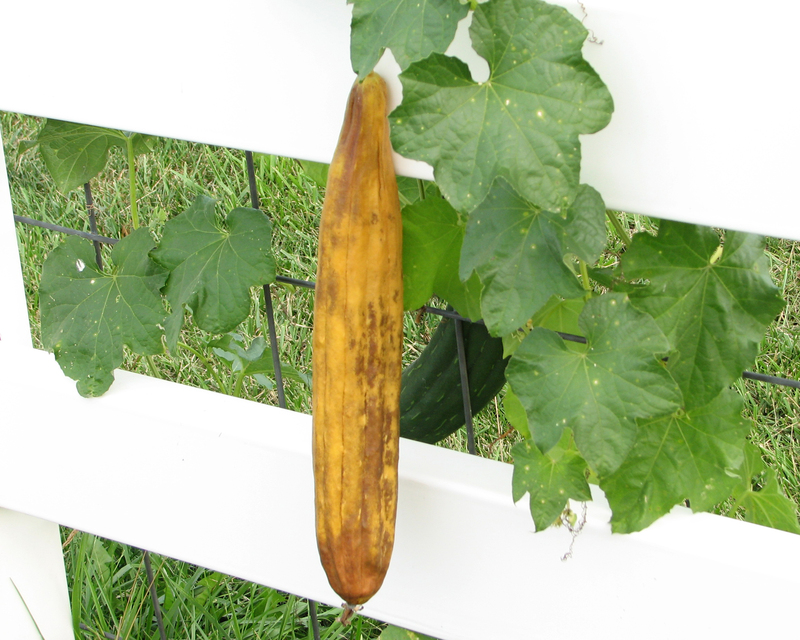 Luffa need a fairly long growing season (at least longer than what we typically have here in MO) and I do not have access to a greenhouse. So I started my seeds indoors. I planted them on 4/1 and put them in a sunny window. This is how they look today. Jeff has tilled up an area for my small loofa crop. 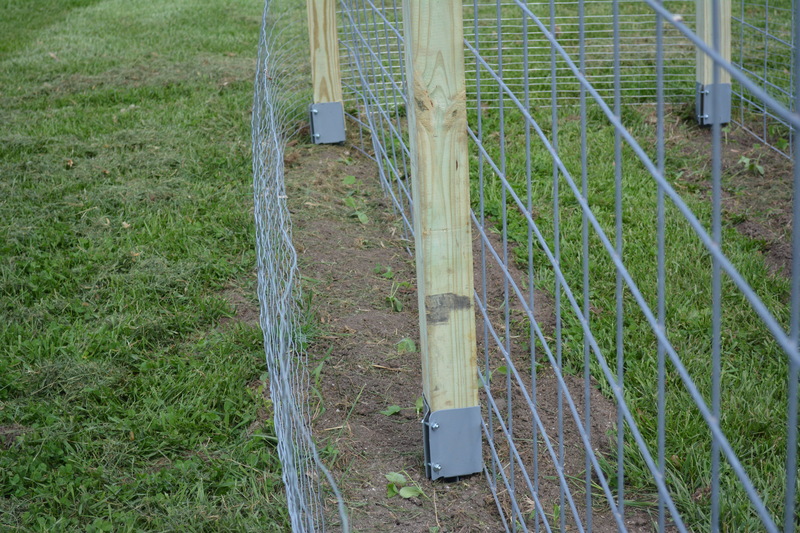 I just need to attach an old piece of fencing to help trellis the plants as they grow. Now, I just need it to warm up enough to put my little plants outside. Stay tuned…….